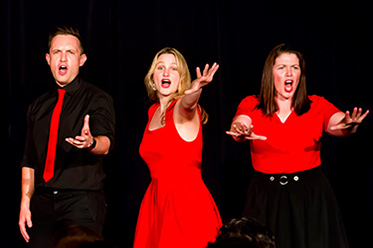 Australia’s premier Musical Theatre Improv’ troupe, Impromptunes are taking their unique and hilarious brand of improvised musical comedy to the world! The Edinburgh Fringe Festival is the largest global arts festival. Australian musical superstar Tim Minchin’s career skyrocketed as a result of his performance there, and many other well known comedians, performers and presenters made their first big international splash performing in Edinburgh. Impromptunes will be presenting the Completely Improvised Musical at one of the ‘Big Four’ venues: Underbelly. These venues attract incredible amounts of attention from producers and promoters from all over the UK and America. If there was ever a moment to make an impact, the month-long season of shows in August will be it. To help send seven of the finest musical theatre improvisers all the way across the globe, Chapel Off Chapel will play host to a Star-spangled fundraiser gala on Monday 9 May 2016. 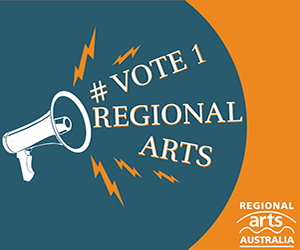 Special guest performers will show their support by lending their talent to the evening, and the night will be capped off with a completely improvised Mega-Musical, featuring over a dozen of Melbourne’s finest musicians, comedians and improvisers. Special Guest performances include: Gillian Cosgriff (To the Moon And Back); Justin Clausen (Butch Masters: Man of Destiny); Sparrowmen; Dan Pavatich (#1 Ninja); Louisa Fitzhardinge (Comma Sutra); Amberly Cull (Point Of Light); Joseph Naim (The Lion King); and Geraldine Quinn (Spandex Ballet). 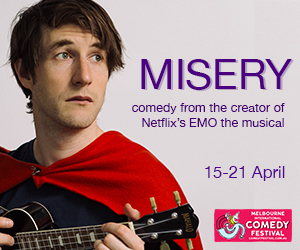 Improv is taking over Melbourne, and this will be a variety gala not to be missed… after all, it’ll never happen the same way again! For more information, visit: www.impromptunes.com.au for details.